When legendary brewer Tod Mott brewed the first rendition of his now famous Russian Imperial Stout, a style most Americans hadn’t even heard of at the time, people took notice. 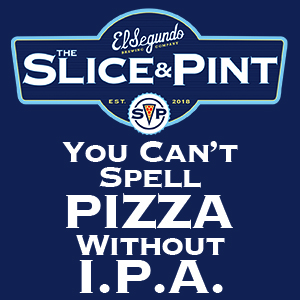 But it wasn’t for the reasons most brewers would hope for. Instead of intrigue or accolades, it was the beer’s name – “Boston Strangler Stout” – that garnered most of the attention. 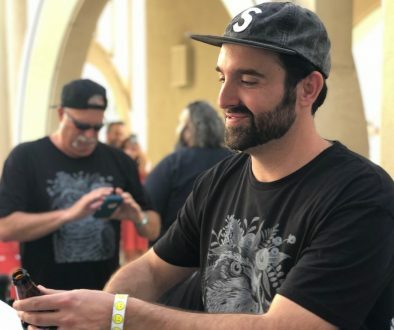 So much attention in fact, that relatives of the infamous killer’s victims banded together and convinced authorities to issue a cease and desist order – not exactly the origin you’d imagine for a beer that would become one of the most sought after stouts in the U.S. a decade later. Mott himself had an unlikely start to his legendary career as well. A struggling artist with a home brew hobby, he started out as a keg washer at the now defunct Catamount Brewery in Vermont before later catching a break at Harpoon Brewery in Boston when owners asked him to fill in for their injured head brewer. Just a few years later he left to become head honcho at Back Bay Brewing. It was there that he first brewed his fatefully named stout, a style he’d discovered while in England but one that few American brewers were familiar with in the 1990s. Before he could turn patrons on to it (the cease and desist order didn’t help), the brewpub closed and Mott was out of a job. His next gig didn’t go much better. Partner at the short-lived Quincy Ships Brewing, his unsupportive landlord refused to extend the lease and his business folded. 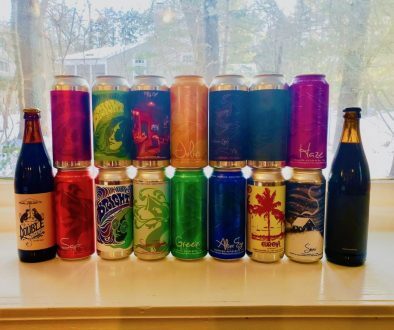 “The South Shore wasn’t really ready to embrace craft beer yet anyways,” admitted Mott, who figured his brewing career might be over at that point. But while auctioning off his brewing system, he met the owner of a startup brewpub in Haverhill called The Tap, who asked him to install their new system and fill in until they hired a head brewer. He accepted. Less than a year later, when Peter Egelston’s well respected Portsmouth Brewery hired him as their head brewer, Mott’s legendary history was in the making. The first time he brewed his Imperial Stout there it was an instant hit. Now called “Kate the Great,” in honor of Russian Empress Catherine the Great, the jet black, full-bodied complex brew was soon revered by beer geeks, with Beer Advocate’s website rating it the best beer in America in 2007. Mott had enjoyed a brush with frame a decade earlier in Boston, where his Harpoon IPA introduced East Coast beer drinkers to a then-unfamiliar style that became widely popular, but the hype surrounding his sought-after stout would be something altogether different. During his 8-year tenure at The Portsmouth Brewery, Kate the Great morphed into a more balanced beer from its earlier days, says Mott, who by then was using barrel aging to lend even more complex flavors to it. When he announced plans to leave Portsmouth in 2012 and start his own brewery, national headlines of his departure shocked craft beer consumers, but Mott had negotiated an unusual deal that would allow him to retain the rights to the recipe. The beer’s name, however, would stay in Portsmouth. 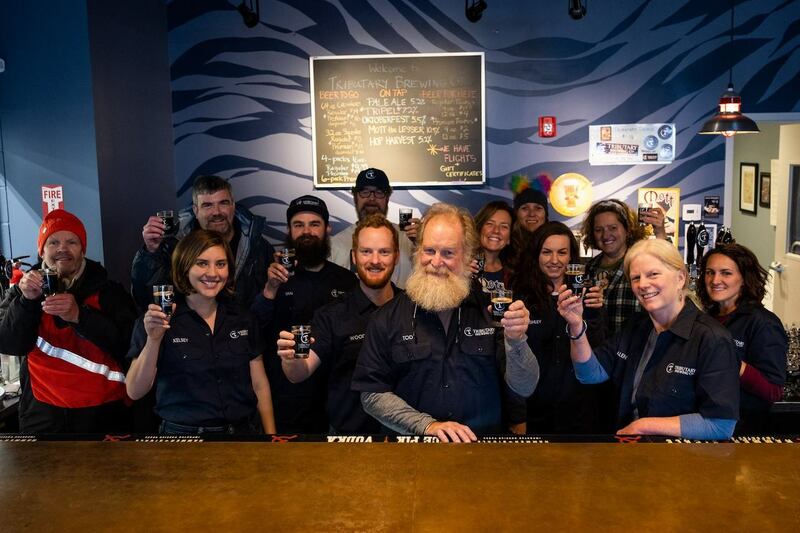 Some two decades after starting out as a keg washer, Mott had had finally realized his long-held dream of having his own brewery when he and his wife Galen opened Tributary Brewing in September of 2014 in Kittery, Maine. 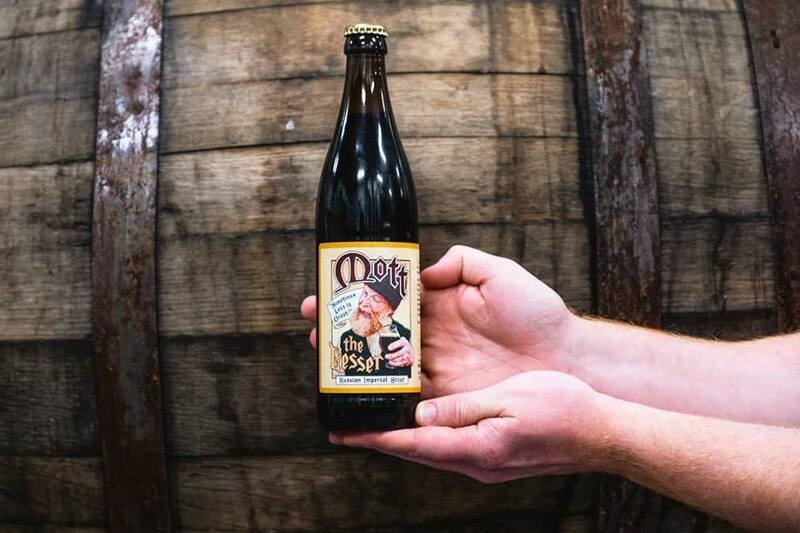 The following spring he re-introduced his famous barrel-aged Russian Imperial Stout under its new name, Mott the Lesser, to much the same fanfare. His newest rendition called for even more creativity, maturing each new batch in a different combination of oak barrels – from port or madeira, to gin, whiskey, tequila and even apple brandy – so as to lend even more nuance to the wildly popular brew. Additionally, a new brewing schedule would allow for two releases each year, one in spring and another in fall. Bottles of Tributary Brewing’s Mott the Lesser typically sell out the day of their release, but draft pours usually last about a week.